To provide a means for all members to expand their knowledge of school transportation in an environment which provides all equal access and opportunity to current and up-to-date information. To provide each member a voice and means of expressing their ideas and concerns in a confidential atmosphere specific to their professional discipline. To provide members a process to present ideas and concerns through their respective Councils to the Chapter Board of Directors for consideration and/or action. To give all members the opportunity to develop professional relationships in an atmosphere of camaraderie. To welcome and mentor people new to school transportation and to encourage their participation in our association. In addition to voting members on the Chapter Board of Directors, it is important to have communication with other parties interested in passenger transportation. Business meetings of the Chapter Board of Directors will be conducted at least quarterly or as necessary when sufficient business items have been received by the President or a member of the Chapter Board of Directors to justify a meeting. It is strongly suggested that Chapter business meetings not be combined with Chapter Council and training meetings of any type. Business meetings should be held during normal business hours (when possible) and at a location that will allow the greatest attendance of the Chapter Board of Directors. Only agenda items approved by the President and Board of Directors will be discussed at business meetings. Agenda items for Chapter Board of Director business meetings should be received at least 30 days prior to the scheduled business meeting. 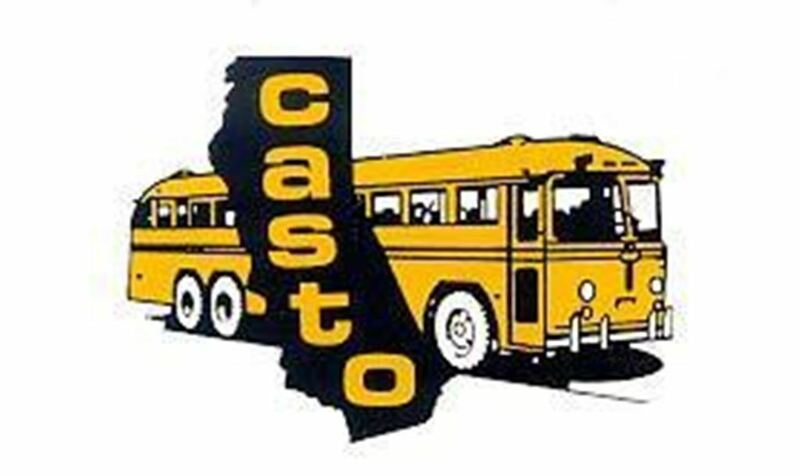 It is vital to the future success of each CASTO chapter to organize each of their Professional Councils so that each group can meet independently and share their ideas and concerns. In the event that driver training sessions are needed beyond what is offered at chapter workshops, the Driver Trainers Council can work with the Drivers council to resolve the need. Each Council will be responsible for organizing its own group with guidance and assistance being provided by the Chapter Board of Directors. Each Council will function independently and select their own representative to the Chapter Board of Directors. Meetings should be held quarterly or as necessary. Each Council should select their respective Director based on the qualifications and selection provided in this document. Officer candidates should possess strong abilities to get people with divergent views and interests to work together cooperatively toward a common goal. Officer candidates should have a broad perspective of the school transportation industry so that the interest of all parties is given fair consideration. Officer candidates should have the ability to work for the benefit of the State and local organization and refrain from self-serving positions on proposed ideas and solutions to issues. Officer candidates should have foresight and demonstrate the ability to “look forward” and anticipate needed change and obtain “acceptance” to the vision. Officer candidates should not hold to past practices just because it has always been done that way. Officer candidates should have demonstrated competency to implement change that will make improvements based upon concept implementations and not “change just for the sake of change.” These individuals must have the ability to develop rationale and justification for necessary changes that will be convincing to others. Officer candidates should be self-starters and motivators with enthusiasm for positive change. Officer candidates must have sufficient staff resources and administrative support to accomplish the tasks of their Chapter responsibilities. Extent of financial support from the employer. Ability to attend the State Conference, and all State and Chapter Board of Directors meetings. Extent of family support due to time commitment (min. 4 years). The officer candidate should demonstrate a history of follow-through with successful completion of project assignments and commitments in a timely manner. The officer candidate should demonstrate the ability to read people and has a good understanding of the political implications regarding the decisions made by the Chapter. This position automatically ascends from the President-Elect position to the Presidency. Serves as the Chairman of the Board of Directors and the Executive Committee and is an ex-officio member of all committees except the Nominating Committee. Plans and presides at the Board of Directors meetings and is responsible for all Chapter activities. Prepare agendas and sends notices to the board members and others who should attend Board of Directors meetings. Handles Chapter business between meetings by telephone and/or correspondence with all board members. Appoints and is responsible for committees and notifying Officers and Directors of their respective responsibilities. Responsible for general meetings of the Chapter including the head table seating. Serves as an official Chapter representative at the State Board of Directors meeting. Provides the State Board of Directors with Chapter information; i.e., list of Chapter Board of Directors, an annual report, update on activities, programs and fiscal matters, etc. Submit all expenses for the current year to the Treasurer by June 1. This position is elected by a majority vote of all active members of the Chapter. Serves as the Chairperson of the Bylaws Revision Committee and a member of the Executive Committee and Chapter Board of Directors. Presides at Board of Directors meetings in the absence of the President. Updates Manual of Operating Procedures for the following year with a DRAFT presented at the last Chapter Board of Directors meeting of the year. Attends Chapter Board of Directors meetings. Perform other functions for the Chapter as assigned by the President or the Board of Directors. This position is selected by a majority vote of all active members of the Chapter. Serves as a member of the Chapter Board of Directors and Executive Committee. Responsible for a complete and accurate record of minutes of the Chapter activities and maintains the Chapter’s financial accounts as directed by the Chapter Board of Directors. Write checks, make deposits, and issue receipts for all money collected. Maintains records of membership, attendance, and minutes of the Board of Directors meetings. Maintains an updated record of policies and procedures adopted by the Chapter. Prepares minutes of the Board of Directors meetings in final form, signs and distributes to all board members and handles official correspondence. Prepares and submits the proposed annual Chapter budget with the assistance of the President and Chapter Board of Directors at the last meeting of the year. Maintain records of all budgets, receipts and disbursements. Submit updated Treasurer’s report at Board of Directors meetings. Prepare various forms such as invoices and expense vouchers. Mail general meeting notice and reservation requests. Requests Chapter labels from State CASTO. Makes a list of attendees. 11. Serves as custodian of all official/legal documents and contracts. 12. Attends Board of Directors meetings. 13. Prepare Chapter books and accounts for an audit by July 1. 14. Perform other functions for the Chapter as assigned by the President or the Board of Directors. This position is automatic once the incoming President assumes office. Serves as a consultant to the President and Chapter Board of Directors. Attends Board of Directors meetings and other meetings as necessary. Assists the President and Board of Directors upon request. Director candidates should possess strong abilities to get people with divergent views and interests to work together cooperatively toward a common goal. Director candidates should have a broad perspective of the school transportation industry so that the interest of all parties is given fair consideration. Director candidates should have the ability to work for the benefit of the committee and refrain from self-serving positions on proposed ideas and solutions to issues. Director candidates should have foresight and demonstrate the ability to “look forward” and anticipate needed change and obtain “acceptance” to the vision. Director candidates should not hold to past practices just because it has always been done that way. Director candidates should have demonstrated competency to implement change that will make improvements based upon concept implementation and not “change just for the sake of change.” These persons must have the ability to develop rational and justification for necessary changes that will be convincing to others. Director candidates should be self-starters and motivators with enthusiasm for positive change. Director candidates must be able to write well enough to communicate their ideas and be willing to take constructive criticism of their written work as it is being edited. Director candidates should have sufficient resources and support to accomplish the tasks of their council responsibilities. Extent of financial support from employer. Ability to attend the State Conference and other Chapter functions. Ability to attend Chapter Board of Director meetings during working hours. The Director candidate should demonstrate a history of follow-through with successful completion of projects, assignments and commitments in a timely manner. Director candidates should demonstrate the ability to work with people and have a good understanding of consensus building when working with several individuals who have differing opinions on the same subject. The Director of each council will be elected by the majority of the active members of each respective council of the Chapter. Serves as a member of the Chapter Board of Directors representing their respective Council. Attends all Chapter Board of Directors meetings. Develops and presents written progress reports to the Chapter Board of Directors on the activities of the respective Council. Reports the activities of the Chapter Board of Directors meetings at each regularly scheduled meeting of the Council. Promotes the projects that will enhance the Council and improve school transportation. Recruits, organizes and directs the activity of the Council. Committee Chairs should possess strong abilities to get people with divergent views and interests to work together cooperative toward a common goal. Chairs should have a broad perspective of the school transportation industry so that the interest of all parties is given fair consideration. Chairs should have the ability to work for the benefit of the committee and refrain from self-serving positions on proposed ideas and solutions to issues. Chairs should have a good working knowledge about the project they have agreed to work on. Chairs should have foresight and demonstrate the ability to “look forward” and anticipate needed change and obtain “acceptance” to the vision. Chairs should not hold to past practices just because it has always been done that way. Chairs should have demonstrated competency to implement change that will make improvements based upon concept implementation and not “change just for the sake of change.” These persons must have the ability to develop rationale and justification for necessary changes that will be convincing to others. Chairs should be self-starters and motivators with enthusiasm for positive change. Chairs must be able to write well enough to communicate their ideas and be willing to take constructive criticism of their written work as it is being edited. Chairs must have sufficient staff resources and administrative support to accomplish the tasks of their committee responsibilities. Ability to attend committee meetings if they are deemed necessary to carry out the duties of the committee. The Chair should demonstrate a history of follow-through with successful completion of projects, assignments and commitments in a timely manner. The Chair should demonstrate the ability to work with people and have a good understanding of consensus building when working with several individuals who have differing opinions on the same subject. To the extent possible, the individuals selected to serve as chairs of committees and as members on committees should be from both the public and the private sectors. Serves as committee Chair at the discretion of the Chapter President or respective Council. Attends all committee meetings as directed by the Chapter President or respective Council. Develops and presents written reports as directed by the Chapter President or respective Council.